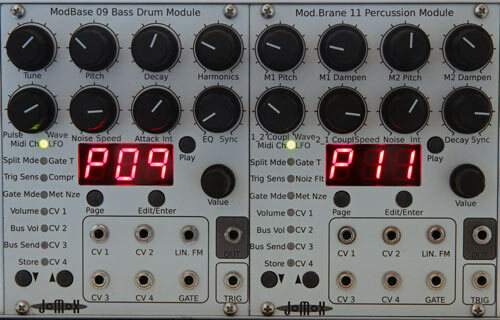 the XBase and M-Brane goes modular in a 3U form – controlled by 4 CVs and Gate. 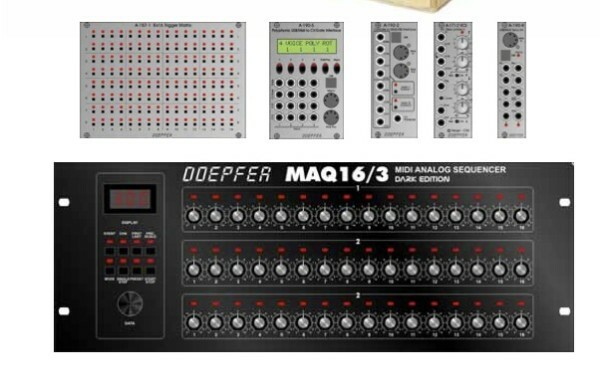 and new Doepfer stuff – incl Sequencer Trigger Matrix (!!) and polyphonic MIDI Interface along with black MAQ16/3 – also a nice matrix mixer and some more..
Sticky Light – How about doing this for Sequencers?